This script is based of Michael Khanins WinPE 3.0 Script and extended with automatic driver integration, an explorer like shell, autostart entries, modified languages for the PE environment and useful programs. This script needs to be run from an administrative Deployment Tools Command Prompt. 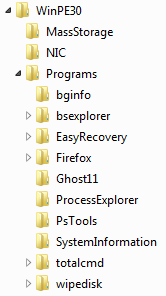 All Programs in the Programs Folder will be included in the WinPE under Program Files. Dism /image:%PEDest%mount /Add-Package /PackagePath:"C:Program FilesWindows AIKToolsPETools%Architecture%WinPE_FPswinpe-hta.cab"
Dism /image:%PEDest%mount /Add-Package /PackagePath:"C:Program FilesWindows AIKToolsPETools%Architecture%WinPE_FPsen-uswinpe-hta_en-us.cab"
Dism /image:%PEDest%mount /Add-Package /PackagePath:"C:Program FilesWindows AIKToolsPETools%Architecture%WinPE_FPswinpe-legacysetup.cab"
Dism /image:%PEDest%mount /Add-Package /PackagePath:"C:Program FilesWindows AIKToolsPETools%Architecture%WinPE_FPsen-uswinpe-legacysetup_en-us.cab"
Dism /image:%PEDest%mount /Add-Package /PackagePath:"C:Program FilesWindows AIKToolsPETools%Architecture%WinPE_FPswinpe-mdac.cab"
Dism /image:%PEDest%mount /Add-Package /PackagePath:"C:Program FilesWindows AIKToolsPETools%Architecture%WinPE_FPsen-uswinpe-mdac_en-us.cab"
Dism /image:%PEDest%mount /Add-Package /PackagePath:"C:Program FilesWindows AIKToolsPETools%Architecture%WinPE_FPswinpe-pppoe.cab"
Dism /image:%PEDest%mount /Add-Package /PackagePath:"C:Program FilesWindows AIKToolsPETools%Architecture%WinPE_FPsen-uswinpe-PPPOE_en-us.cab"
Dism /image:%PEDest%mount /Add-Package /PackagePath:"C:Program FilesWindows AIKToolsPETools%Architecture%WinPE_FPswinpe-scripting.cab"
Dism /image:%PEDest%mount /Add-Package /PackagePath:"C:Program FilesWindows AIKToolsPETools%Architecture%WinPE_FPsen-uswinpe-scripting_en-us.cab"
Dism /image:%PEDest%mount /Add-Package /PackagePath:"C:Program FilesWindows AIKToolsPETools%Architecture%WinPE_FPswinpe-wmi.cab"
Dism /image:%PEDest%mount /Add-Package /PackagePath:"C:Program FilesWindows AIKToolsPETools%Architecture%WinPE_FPsen-uswinpe-wmi_en-us.cab"
/Set-InputLocale sets the input locales and keyboard layouts to use in the offline Windows image. 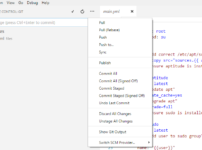 For a list of the default input locale values, see here and here. You need one line per inf file. You can also change the folder structure. The folders were just added to differ between the drivers. With winpeshl.ini you configure your autostart entries. 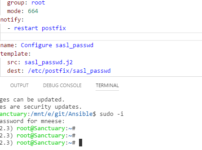 startnet.cmd does general initialization for the PE environment. 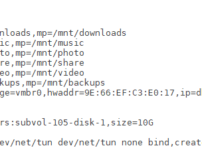 bginfo.cmd runs a pre configured Background Information script. BsLogon is the first exe to get BsExplorer working. BsExplorer is an Explorer like environment. You can get it from here: http://www.kursknet.ru/~boa/en/index.html –> windows pe –> My programs for Win PE. My BsExplorer config and a modified CommonEng.dll, with Ressource Hacker to correct some language mistakes, is uploaded as a zip-Archive here.